ambulance violin and cello.” width=”300″ height=”200″ /> The Paragon Trio–flute, and violin and cello. 1. 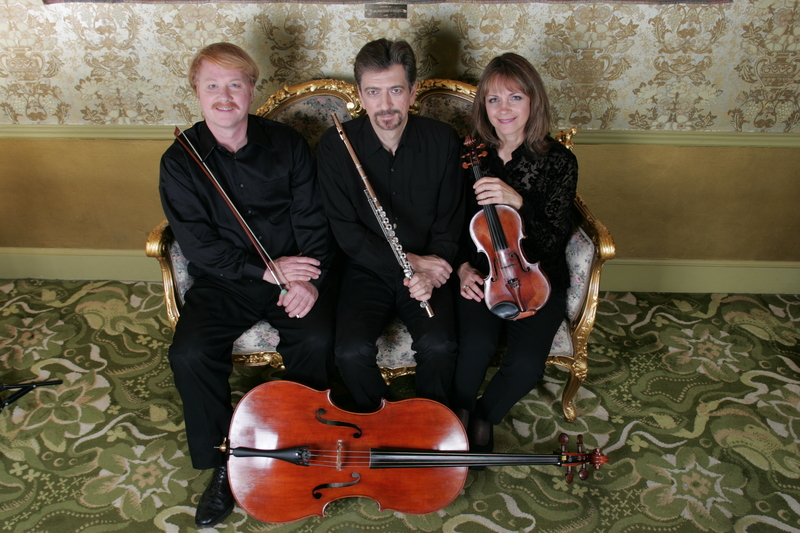 In the wedding music world, a “String Trio” is usually comprised of flute, violin and cello. That’s two treble (high) instruments and one bass (low) instrument. But what, you may rightly ask, is a flute doing in a string trio? Well, it seems that many people love the mix of flute and strings, and a ton of great wedding trio music arrangements exist for this combo. So flute/violin/cello has naturally evolved as the dominant trio type–simply by popular demand. 2. Strictly speaking, a “String Trio” for weddings would consist of two violins and a cello. (That still fits the “two-treble-one-bass” formula, but here all three are actually stringed instruments.) This combination can perform the same arrangements as the flute/violin/cello mix. But some brides prefer the rich, melded sound of pure strings. 3. 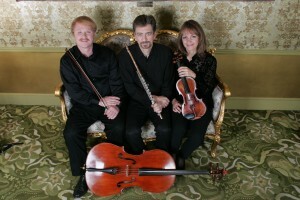 In the serious classical music world, a “string trio” usually contains one violin, one viola and one cello. (For those who aren’t sure, a viola is a stringed instrument slightly larger than a violin, and smaller than a cello. It looks like a large violin but sounds deeper.) The viola’s sheet music is written differently, in “alto clef,” so this trio version cannot play from the same musical arrangements as the other trio types. This combination is rarely offered for weddings, mostly because there are so few musical arrangements written for it. 4. For those who love viola, don’t worry–you can have it in a string quartet! The string quartet instrumentation (two violins, a viola and a cello) has long been considered by composers as the most perfect combination of all. While a string quartet is not substantially louder than a string trio, it does have a richer, fuller sound, and the most varied repertoire of all the string groups. TIP: Whichever string instrument combination you love best, be sure to select professional musicians to perform. Only in the hands of experienced master musicians do the rich beauties of the strings come alive. This entry was posted in String Quartets and String Trios for Weddings and tagged String Quartet for Wedding, String Trio for Wedding. Bookmark the permalink. Follow any comments here with the RSS feed for this post. Both comments and trackbacks are currently closed.